As the current generation of consoles winds down and rumours of the next generation being announced this year grow, now is a good time to reflect on the effect Phil Spencer has had on the gaming industry in his time as EVP of Gaming at Microsoft and how a brand can come back from impossible odds with the right approach to communications. Microsoft got off to a tough start this generation when it announced the Xbox One back in 2013. 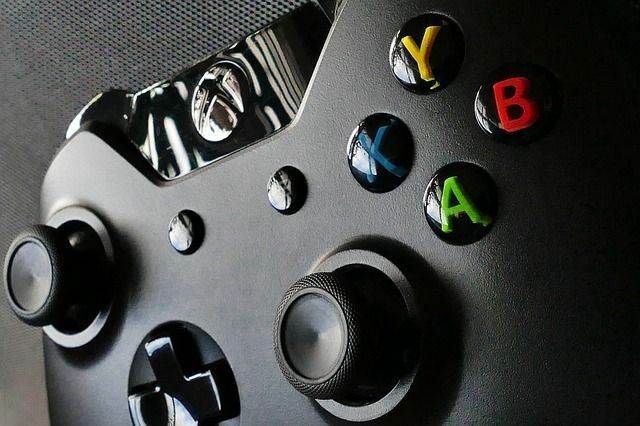 Media reacted negatively to the price, requirement for a persistent online connection, inability to play used games, forced inclusion of the Kinect motion sensor and the general push into non-gaming applications, such as TV and video services. Don Mattrick left Microsoft a month later, following the announced roll-back of some of the intended features and his successor Marc Whitten was then replaced by Phil Spencer nine months later. During this time, Sony led a near-perfect messaging campaign of a console designed by gamers, for gamers. The PS4 also launched at a price tag $100 lower than that of the Xbox One, all of which left Microsoft lagging far behind its biggest competitor in sales and struggling to shift the negative sentiment attached to the Xbox brand. Spencer quickly set about addressing the major issues driving the negative sentiment and has done more than most to shift the gaming conversation, and thereby the Xbox brand, towards a more positive discussion around innovation, inclusivity and a gamer-first approach. He removed the Kinect device from boxes, bringing down costs in the process, and oversaw the introduction of backwards compatibility, improved console SKUs (S and X versions), cross-platform play, a much-lauded subscription service (Game Pass), the purchase of various notable development studios to create first party content, and if rumours are true, has the brand working on some innovative streaming capabilities that could potentially put Xbox back on top as the brand of choice for the next generation. None of the above actions have changed the game yet; Sony is still leading on sales and has plenty of great first party games on the horizon that will continue to drive its own sales. What is interesting, though, is just how much the conversation has shifted in Xbox’s favour. Spencer often states that most of the aforementioned achievements are those of the teams behind him rather than his own, but it’s precisely this kind of humility and honesty that has so endeared him to media and the public. As the front man for the Xbox brand, it has been his messaging that has righted the ship. His honest approach, often taking the time in keynote speeches to address industry concerns and highlight his own personal vision for the future of gaming, has transformed the conversation about the future of the Xbox brand. He brings excitement to his communications, often adding small touches of flair such as wearing t-shirts that hint at future game reveals and takes the time to engage in long form discussions via podcasts and video interviews, something that is positively received by the public. He is bold enough to admit when the brand has made missteps and always offers a solution that has been provided or is in progress to address each issue. In short, his leadership, genuine love of his job and desire to make gaming as good as possible for all involved is evident at every turn and has cemented his personal brand and dramatically improved Xbox’s. Nothing ever comes across as disingenuous or rehearsed. He is evangelised by colleagues, media and public alike, and has the industry eagerly anticipating what he has to say next. One could do a lot worse than take a page from his book when considering their communications strategy. Hotwire has dedicated crisis and executive comms expertise, so if you would like to hear more about our communications capabilities, either as part of campaign planning or more generally, please get in touch – graham.westrop@hotwireglobal.com. Did Google just change gaming forever?